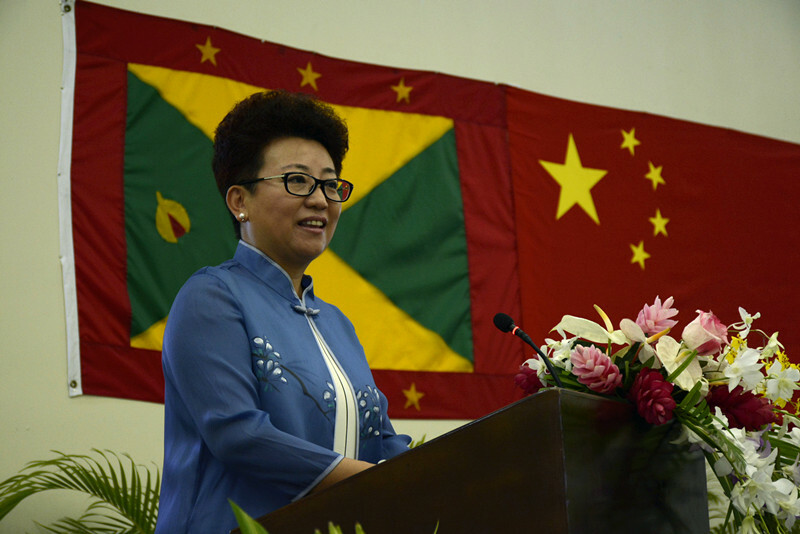 As Chinese Ambassador Ou Boqian prepares to leave Grenada on 11 May 2017, a number of institutions have opted to show their appreciation to her by hosting receptions and farewell cocktail parties. Ambassador Ou has always expressed her sincerest gratitude to the College for their role in bridging the relationship between China and Grenada, and that day was no different. She spoke highly of the students and faculty who got the opportunity to visit China and learn more about their culture and lifestyle. The principal of the College, Dr Jeffrey Britton and Colin Dowe, Chairman of the TAMCC Council made brief remarks. Two persons who received the opportunity to travel to China gave their testimony about their experiences before and after, stating how grateful they were to the governments of China and Grenada. The College presented the emotional ambassador with a range of gifts. She assured the gathering that she will be back in Grenada at some point and that Grenada and TAMCC will always be close to her heart.